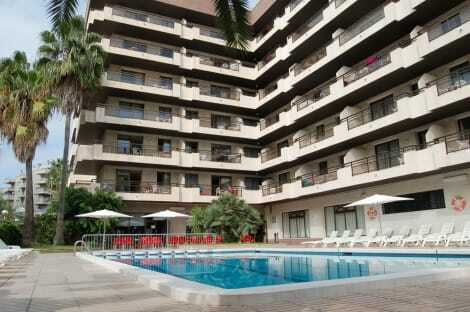 This apartment complex is located in the tourist area, near Europe Square and just a few metres from the beach. The town centre of Salou is around 15 minutes' walk away. Port Aventura is some 800 m away, Reus and Cambrils are both around 8 km away and Tarragona is roughly 10 km from the property. Reus Airport is around 10 km away and Barcelona Airport is around 110 km away. This apartment complex has a family atmosphere. It offers a total of 12 apartments as well as a bar and pub(Groups of students are not allowed). All guests receive a complimentary parking space. All apartments have three bedrooms with a private bathroom with a bathtub, WC, kitchen, fridge, cooker, microwave and washing machine. Each apartment also has a canopied terrace facing the sun. There is no swimming pool at the complex but guests may use the pool at The Fish, located 100 m away. Enjoy recreation amenities such as an outdoor pool or take in the view from a rooftop terrace. Additional amenities at this apartment include wireless Internet access (surcharge), an arcade/game room, and a television in a common area.